The NBA All-Star Game tips off on Sunday with Team LeBron taking on Team Giannis. The two Association stars will lead their handpicked All-Stars against each other in the game that signifies the season’s halfway point. The All-Star Game isn’t what it once was. It is now an exhibition game with players taking the game lightly and trying to showcase just how far behind the three-point line they can shoot. That doesn’t mean the NBA All-Star Game isn’t worth betting on. As with last season’s game, the All-Stars have been mixed up regardless of the conference to make two incredible super teams. Leading sportsbooks have Team LeBron listed as the All-Star Game favorite at -250. While the NBA All-Star Game will see Team Giannis and Team LeBron do battle, there are are other festivities going on. The NBA Rising Stars Challenge will see USA All-Stars versus the World All-Stars. The Slam Dunk Contest, Three-point Contest, and Skills Contest can all be wagered on as well during the weekend. Some exciting players such as Luka Doncic, Trae Young, and Jayson Tatum will be participating in the competitions. The NBA’s best team to this point has been the Milwaukee Bucks. Powered by Antetokounmpo, the Bucks may be the most complete team in the Association. That isn’t saying the Bucks will win the NBA Championship. The Golden State Warriors are still the team to beat. The Warriors are -220 to win the title while the rest of the NBA field is +160. One of the great tools sports bettors can use at ZCode System is the Playoff Simulator. 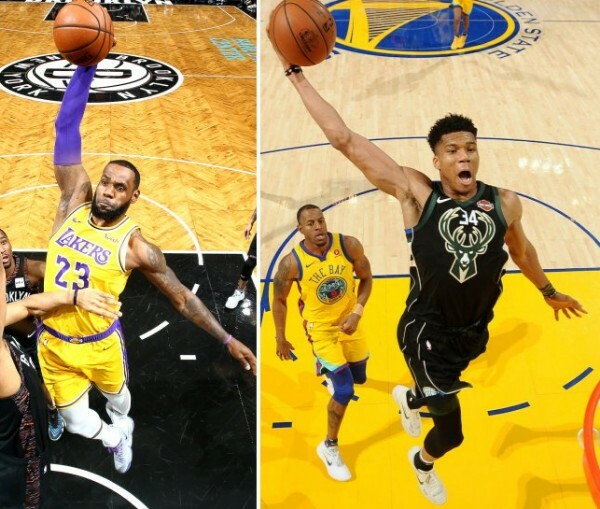 With the NBA hitting the All-Star Game this weekend and playoff pretenders falling to the wayside, it is time to see which team is predicted to win the NBA Finals. Is there anything unrealistc about this simulation? If anything, it looks like an exciting NBA postseason. 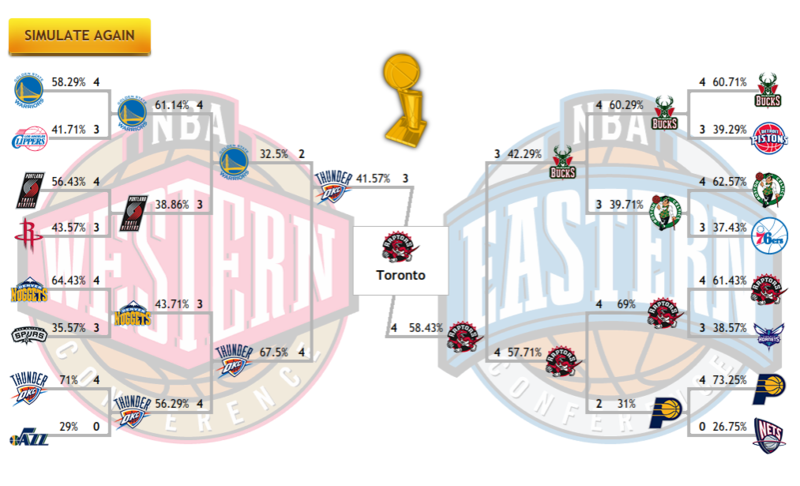 Who will the Eastern and Western Conferences? The Bucks and Toronto Raptors lead the way in the East in odds to win the conference. Both teams are +225 to win the East. But don’t count out the Philadelphia 76ers. They added Jimmy Butler earlier this season and Tobias Harrison just before the trade deadline. The 76ers are a wildcard. An inconsistent wildcard. In the Western Conference, all eyes are on Golden State at -334. The Houston Rockets, who had the NBA’s best record last season, are second at +900. The West’s dark horse is the Oklahoma City Thunder. No, not because of bricklayer Russell Westbrook, but due to the great play of Paul George. OKC is +1600 to win the Western Conference. One leading sportsbook believes James Harden will take home the NBA MVP award. He is -250. Sure, he is having a great year and leading the league in scoring with 36.6 points per game. But no player has been more important to his team than Milwaukee’s Antetokounmpo. The Greek Freak is +300 to win the award. OKC’s Paul George is +900.